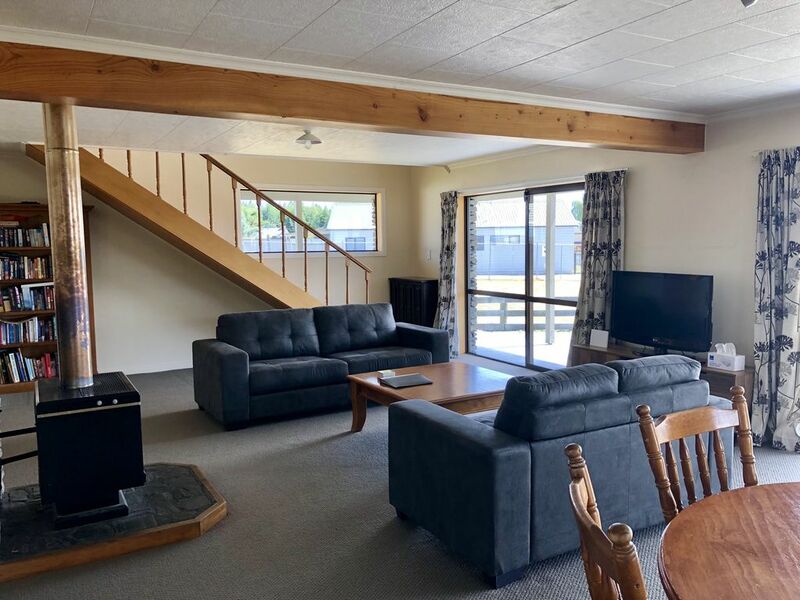 Spacious two storey home with good open plan living opening to wrap around decking for great entertaining. The kitchen is well equipped with microwave, dishwasher, oven, cooking utensils and fridge/freezer. Flat screen TV in lounge. Three spacious bedrooms, sleeping 6 guests. Short walk to the Market Place, where you will find two Supermarkets, Information Centre/Post Office, restaurants, cafes and shops. Was an absolute pleasure staying here. Great house, everything was there, lovely views ,the boys had a great weekend, would book in again. the location was good.Take your own dishwash liquid, tiolet paper and powder for the dishwasher as it was not supplied. No face cloth and 1 towel pp for a three night stay means you may wish to bring some extra bath linen . there are no basic kitchen items supplied apart from salt.